Udo Street is in Akpayak community in Uyo Local Government Area of Akwa-Ibom state. It is located at the heart of Uyo main town in front of two streams- Idim Akpayak and Akpa Atakeka. Not far from the street is Uyo Local Government Secretariat, the Ministry of Agriculture and some other government parastatals. The Environmental Rights Action/Friends of the Earth Nigeria (ERA/FoEN) visited the street on February 20, 2013 following a Save-Our-Souls from residents who complained about the discharge of industrial waste, human excreta from septic tanks and other unspecified wastes generated in the city into the stream which is about 100 meters from the street. When ERA/FoEN visited, it was observed that the closest residential building to the stream is about 5 meters and refuse trucks were noticed bringing in waste almost every 15 minutes. Some of their contents were dumped indiscriminately into the stream and in the environment. Just as the locals alleged, it was observed that the wastes dumped in the stream ranged from sewage, domestic items to industrial and agricultural, even as the huge number of obviously authorized and unauthorized refuse officials involved made the place seem like a market place. There were also long queues of trucks waiting for their turn to empty the contents of their vehicles. 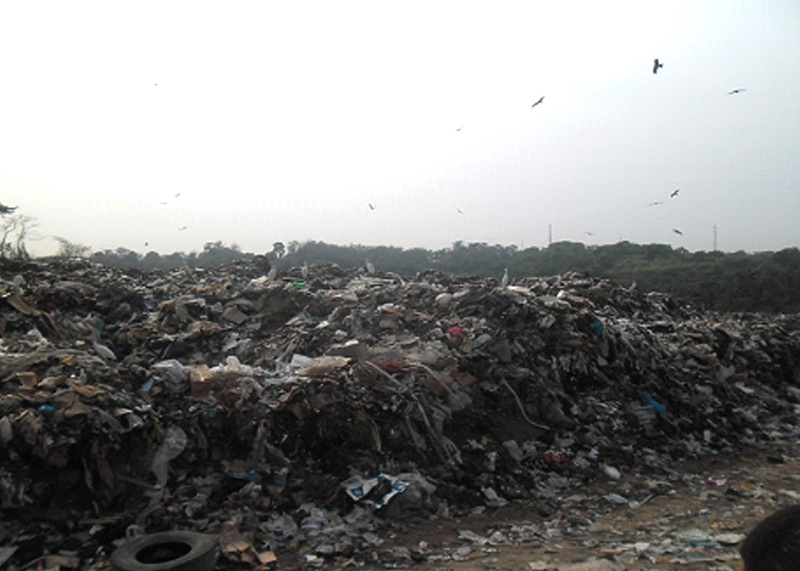 Scavengers were also seen in large numbers searching for recyclable materials Residents told the ERA/FoEN field reporter that the dump site is now a breeding ground for criminals who see the site as a hiding place where they smoke Indian hemp. Others are said to be there to intimidate people they view as threat to their activities. The waste dump is taking its toll on the health of the residents. Why? Explain briefly. Waste is still being dumped near community residence and government has not intervened. 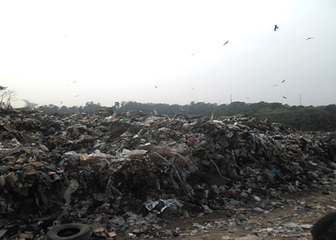 Environmental and Public Health Related Assessment of Solid Waste Management in Uyo, Akwa Ibom State, Nigeria by Eja M.E., Alobi N. O., Ikpeme E. M., Ogri O.R. and Inyang A.O.